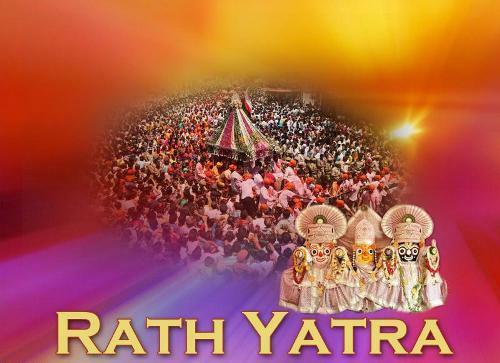 Jagannath Rath Yatra is Coming on 10 July 2013 and According to Gujarati month coming on auspicious day of Ashadh Sud 2 or Day of Second.This day is also known as Ashadhi Bij. 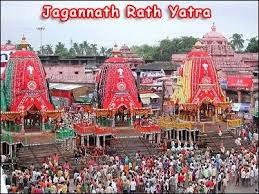 Jagannath Rath yatra festival celebrated for 8 days is held at the famous Jagannath Temple at Puri (Orissa). 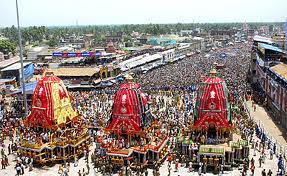 Thousands of devotees flock to Puri during the occasion, as they believe that a glimpse of Lord Jagannath in his chariot gives salvation. 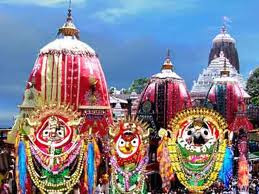 Images of Lord Jagannath - the Lord of the Universe, his sister Subhadra and brother Balbhadra are taken out in a procession in three immense chariots. The main chariot is 14 meters high and 10 meters square with 16 wheels. 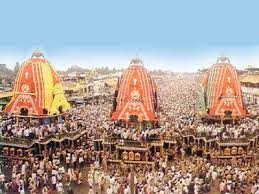 Thousands of devotees pull these chariots to Gundicha Mandir, a temple 3 km away. 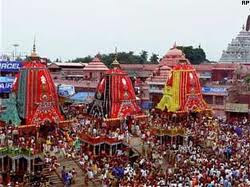 After a week, on 'Ashadha Sukla Dasami', the 10th day of the bright fortnight of Ashadha (June-July), return journey or 'Bahuda Yatra' of the deities commences in the same manner from Gundicha temple to the main temple like Rath Yatra.When two months of Ashadha fall in one year, Rath Yatra is observed as the festival of 'Nabakalebar' the old deities are buried within the temple premises ('Koilibaikuntha') and are replaced by new deities, carved out of Margosatrees for which there are set procedures. 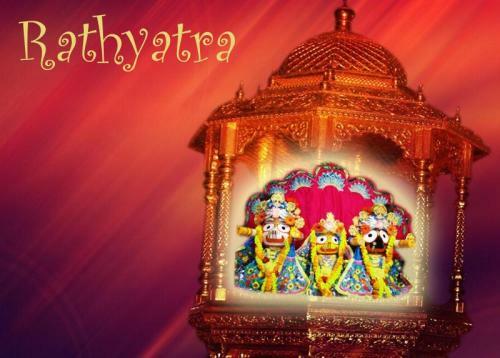 Double Ashadha occurs at intervals of 8 to 19 years. 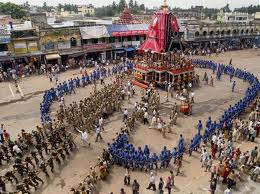 Construction of the chariots begin as early as April. 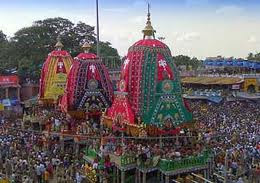 Images of Jagannath, as Lord Krishna is known, his brother Balabhadra and sister Subhadra, are taken in giant chariots to Gundicha Ghar. 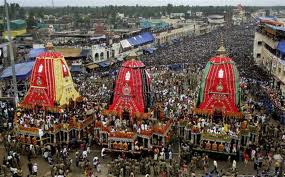 They stay there for a week and then return to the temple. On their journeys, they are accompanied by a huge procession of people, singing and celebrating. 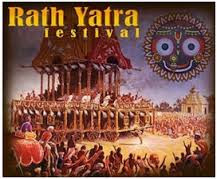 The festival has been celebrated since ancient times. 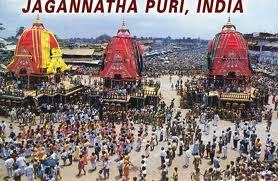 According to a legend about its origin, Jagannatha is said to have expressed his desire to visit his birthplace every year for a week. Accordingly, the deities are taken to the Gundicha Mandir every year. On the second day of Shukla Paksha in the month of Ashadh, Jagannath Rath Yatra is performed. 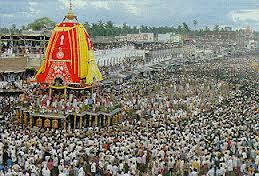 It is performed in the holy city of Puri which is one of the four ‘Dhams’. 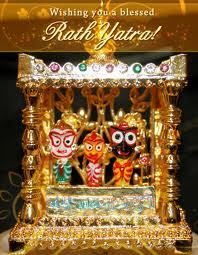 Chaitanya Maha Prabhu is merged with the Lord Jagannath Idol in the city of Puri. 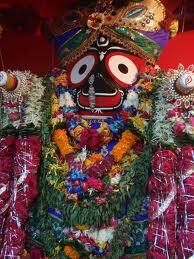 Jagannath, believed to be an avataar of Lord Vishnu, is the Lord of Puri. 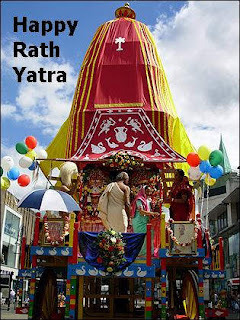 RathYatra is of great significance to the Hindus. 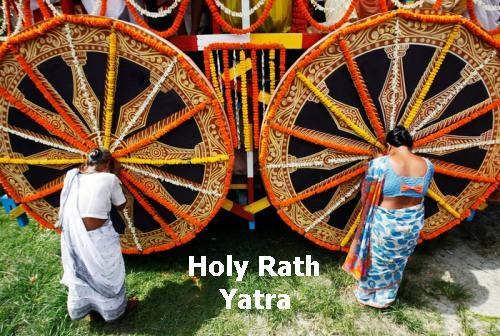 Each year these wooden chariots are constructed anew in accordance with religious specifications. 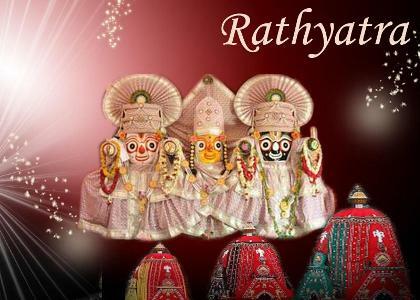 The idols of these three deities are also made of wood and they are religiously replaced by new ones every 12 years. 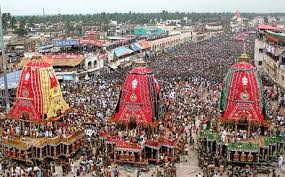 After a nine day sojourn of the deities at the country, temple amidst festivities, deities are returned to the city temple of Lord Jagannath. 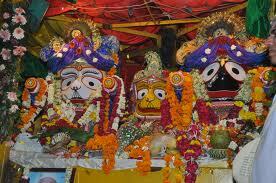 Puja is performed of Jagannathji by offering prasad and lighting the lamp. 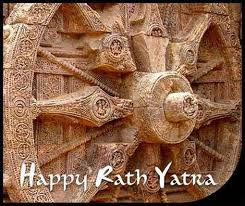 Happy Ratha Yatra And Ashadhi Duj ! Hum Sab Ka Pranam Hai.